What can stevia and diabetes have to do with each other? First, what is stevia? It is a natural sweetener that comes from the plant Stevia rebaudiana. It is about 20-30x sweeter than sugar. It generally comes in a white powder-like form that's similar to sugar. It has grown in popularity recently and is perfect for a low-carb diet. But is it really the optimal sugar for people diagnosed with diabetes? Today we will explore these topics and look at how stevia can be the ultimate sweetener for diabetics. Stevia is not an artificial sweetener like Splenda or Equal. These artificial sweeteners are not good for you! If you are diabetic, these lead to tumors, obesity, and migraines! Again, if you are experiencing symptoms simialar to these, it might be due to that Diet Coke that you drink each day. Aspartame is not a get out of jail free card, and more and more evidence is appearing that exposes the danger of these sweeteners. If you use these regularly, I would strongly recommend that you cut back your use immediately. Though stevia is not as widely studied as artificial sweeteners are, they don't have nearly as many of the negative side effects that artificial sweeteners do. 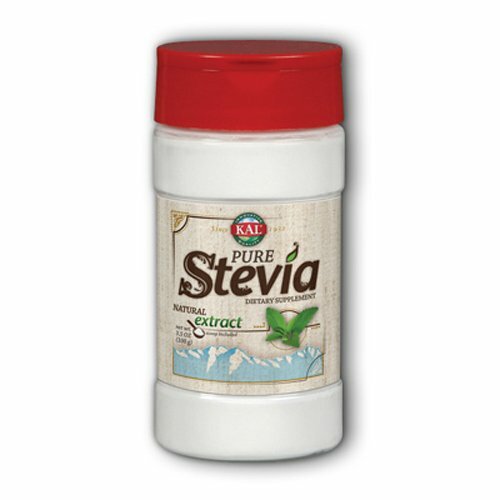 The only complaint people have about stevia is the bitter aftertaste, which can be easily solved with a good brand. Now- how does this substance affect diabetics? Diabetics should avoid sugar because sugar raises insulin levels dramatically and worsen insulin resistance. This is not good news for people with diabetes. In fact too much sugar can put you in a life-threatening condition. Stevia, though, has little to no impact on insulin. It is probably safe for diabetics because it is not metabolized like sugar. Stevia in fact might have health benefits which include lower blood pressure, and is antibacterial. If it does impact insulin levels, it does so through your taste buds, not through ingestion. By this, I mean that the sweet taste itself raises insulin levels through signals in the brain. However, this impacts people differently and may not even impact your insulin levels. I would recommend that you try it, at least. Here is how stevia looks. See if it has an impact on your blood glucose levels by testing it before and after. If the effect is minimal, I would suggest that you continue using it. Overall, I'd say that stevia is probably the best alternative out there for sugar! Stay away from those artificial sweeteners! This type of stevia does not have that nasty aftertaste and will last you for a very long time. A little bit goes a long way!